I am Apurva Choudhary. I have completed my MTech from NIT Trichy. I am sharing my Qualcomm interview experience and questions. It is off campus drive. The interview was for the post of ‘Graphic Design Engineer’. This recruitment process took 3 days. It includes online MCQ test and interview over the skype. Find the below Qualcomm interview experience in each round. It was 1.5 hr online test. There were 2 sections as listed below. Aptitude and Reasoning questions level were slightly above the average. 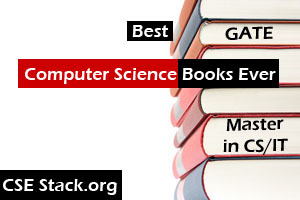 The second section was on computer science. It includes all the basic questions. The difficulty level is moderate. It was skype interview. It started with the general introduction and brief discussion on projects. Then they asked me to write code (any language) to check if two given strings are Anagram of each other or not, characters can be in upper case and lower case. Solution: You can find the complete program to check whether Two Strings are Anagram or not in C.
They asked me some questions on computer architecture. Most of the questions were related to memories especially concepts related to the cache memory. After asking some theoretical question, they asked me one numerical question. As per I remember, the question was like below. There is a system with the cache size of 128K. It uses 32bit for addressing. It has 8 way set associative cache. The block/line Size is 64B. Calculate the tag Size in terms of the number of bits. Then asked me to write matrix multiplication program. There are three matrix as a[M][N], b[N][L] and c[M][L]. All matrices store integer values. The size of the matrix as per value assigned to M=256. N= 256 and L= 128. Task is to write the code to find the matrix multiplication of matrices and b (c=a*b). After writing the above code, using above data (previous cache question) they asked me to calculate miss rate for the matrices. You can find other Qualcomm interview questions on CSEStack shared by other candidates. If you are attending for the Qualcomm Skype interview, go to its official website. Know little insight about the company. It will help you to tackle HR related questions. I am glad to be selected and being part of Qualcomm. Thank you, Apurva Choudhary, for sharing Interview Questions and your Qualcomm interview experience. All the best for your good career.